A Jewish law center has filed a complaint against Presbyterian Church USA for its contacts with Hizb”Allah. 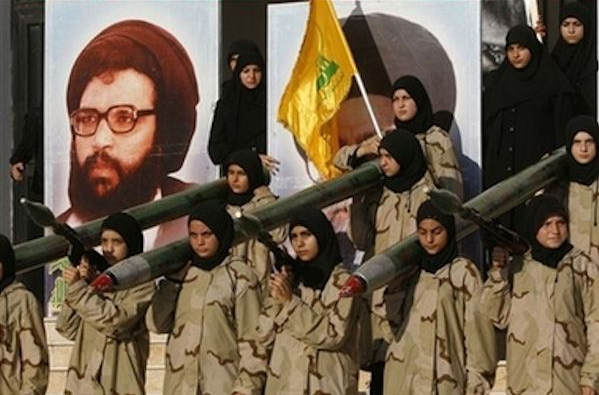 The HizbAllah is a terrorgroup sponsored by Iran and supported by a Church in the USA. The PCUSA declined to provide an immediate comment on the accusations. In June, the PCUSA voted to divest from companies that conduct business in the West Bank. The narrow 310 to 303 vote in favor of divestment affected such businesses as Caterpillar, Hewlett Packard, and Motorola Solutions. The moment a Christian Church do no longer acknowledge Judaism as the base for its faith, this error will lead the church into apostasy. The Presbyterian Church USA is only one of many who has fallen into the traps of replacement theology. The idea that after the Jewish people rejected their Messiah, they do not have any relationship with God of Israel. Such a theology will nullify the promises made in the book of Genesis. It will also require a spiritualization of most of the prophetic books of the Bible. The land and area named “Israel” do no longer express a promise of a nation, but rather expres the unity of scattered Christians. The “promised land” is not a Jewish homeland, but rather a universal brotherhood of people who claim to know Christ. Ezekiel 36:24 is best overlooked. Since the Christians have problems to return to a land they never possessed. The land of Israel was gifted to the Jewish people by their God, long time before the Messiah came in flesh. And a promised return til this land is foretold. For people who believe in the replacement ideology, the existence of the state of Israel is more than a little bit troublesome. Since the numbers Arabs has not been able to destroy a nation with a few million Jews, not even after 10 wars with a strength of 200 against one. It would be better if these Islamic “freedom fighters” like Hezb’Allah would be able force Israel to become like all other nations in the region, being ruled by Islam. The moment when there is no Zionist Israel, there will one less theological headache for the Presbyterians. That is why they admire the Islamic anti-Zionists, and hope these Arabs can finish the job. Even though they have to close their eyes, and support that Islamic terrorism is the need of the day. Just to put pressure on the state of Israel. May Jesus the Messiah have mercy on all who have been deceived in the name of “Christ”. shalom, ivar. the presbyterian church u.s.a. uaed to be based in louisville,ky., not far from where i live. they put money into the economy and even refurbished an historical building for their headquarters. then, the controversy over women preachers began and was soon followed with a split over homosexual clergy which pretty much finished off the denomination. it is no stretch of the imagination then to see how they could move to support terrorists. these perverts cry all day long,”do not judge us!”, yet they have no problem to judge the israelis. no worries for israel as God Himself will come to fight for them when the time comes.